These are very elegant earrings. 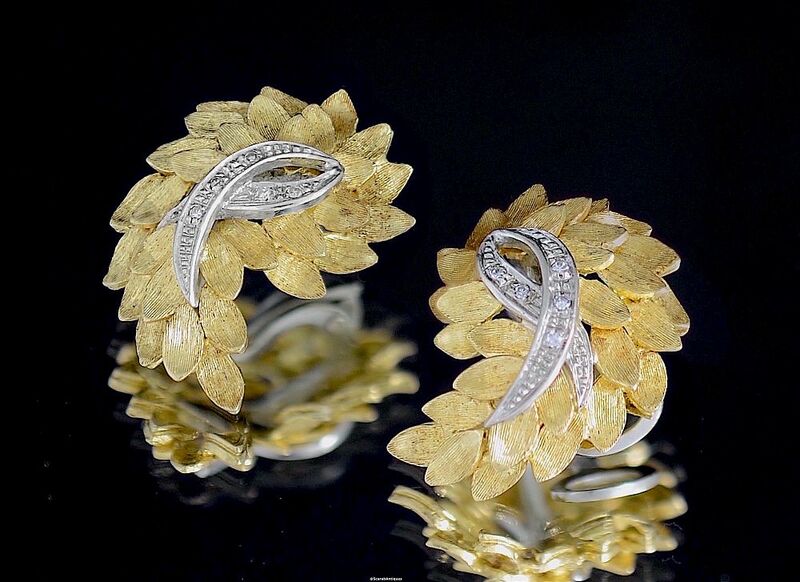 Made of 18ct gold, the tops are a curling leaf shape of 3 layers of textured leaves with a textured rib of 18ct white gold set with small round diamonds. The clips are made of 18ct white gold. A good everyday wear that will take you from morning through to night.